Traveling is becoming the mainstay of my life again. This time of the year is always so busy for me that I can barely think a week ahead. I go from project to project and town to town without regard for even what day of the week it is. I just returned from the U.P. of Michigan, and I am moving right into training with the crew I will be traveling to Norway with in just a few days. 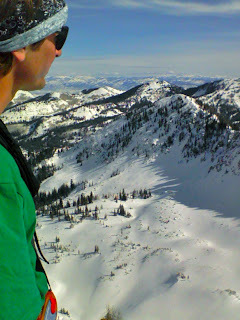 I am judging a big mountain competition in Grand Targhee this weekend, and then immediately departing for Oslo, Norway. I am trying to fit in some quality time with my wife, as well as get familiar with the group that I will be touring completely foreign terrain with. Europe is a bit heavier place to ski backcountry because there are no rules over there. It is very loose, and people are free to make their own decisions. Which includes making their own mistakes, and suffering their own consequences. I agree with the philosophy whole heartedly. We could use a little more of that mentality here in the U.S. if you ask me, but that is a whole different conversation. 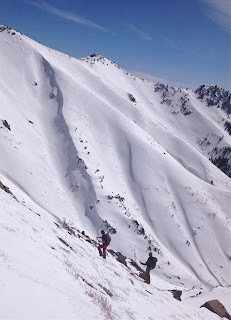 The main point here is that I need to get out and get familiar with the crew that I will be touring all of this new and unique terrain with. That can get heavy. 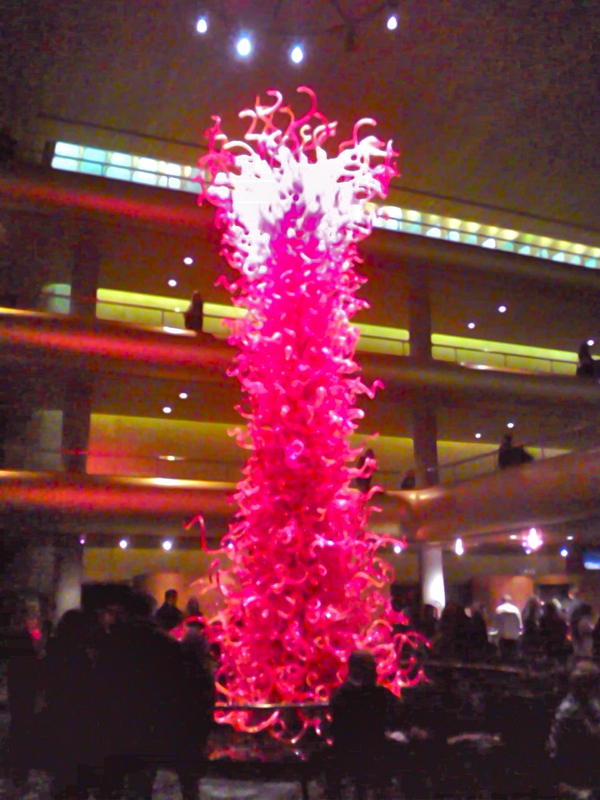 ^My wife and I went out for Valentine's day to a live tapeing of "Wait Wait Don't Tell Me". 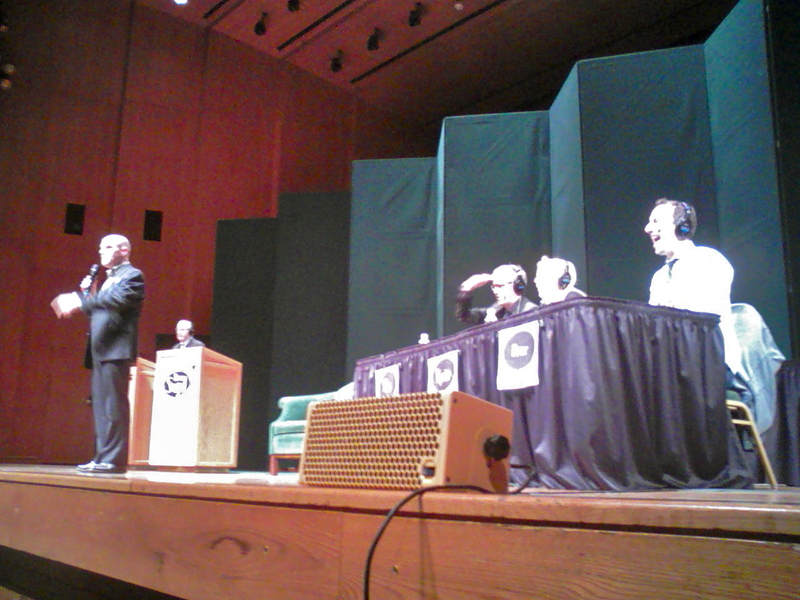 It is an NPR news quiz show that we enjoy listening to together on Saturday mornings. 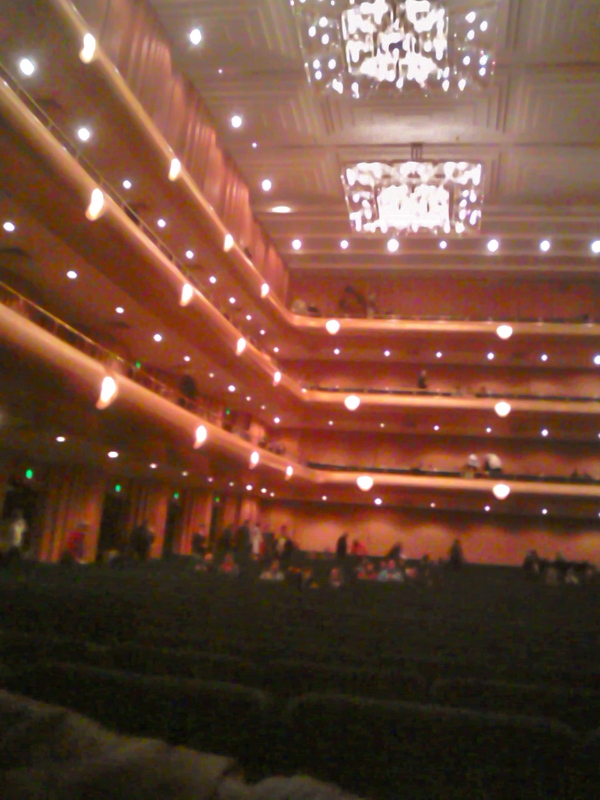 Abravenal Hall in Salt Lake City is a really beautiful venue downtown. The lobby adorns this large glasswork centerpiece that draws you right into the building. 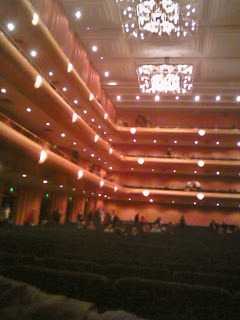 ^The auditorium is quite magnificent also. We were in the front row for the show, and it was a neat scene to look back at the room once it was filled to capacity with "Wait Wait" fans. ^The show did not disappoint. The host, Peter Sagal, is addressing the crowd in this photo at the beginning of the program. It was a really unique experience to see, and I'd suggest it to anyone. The evening was entertaining, but the smiles and laughs I got to share with my lovely wife will carry me through more travels and time away from home. She loves me, and I am lucky to have her. ^Our golden retriever, Murphy, loves me too. I am also lucky to have her. I was fortunate enough to find some time to get out and tour the lower elevations with her. Again, I am traveling a lot right now and I don't get to go out with her as much this time of year either. 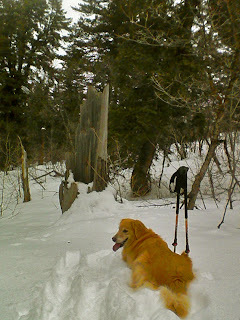 She is taking a break in the shadow of "Toll Booth Willy" which is this old stump that marks the entrance to a couple of our favorite short ski lowland ski lines. ^Murphy follows my skin path with ardent determination. 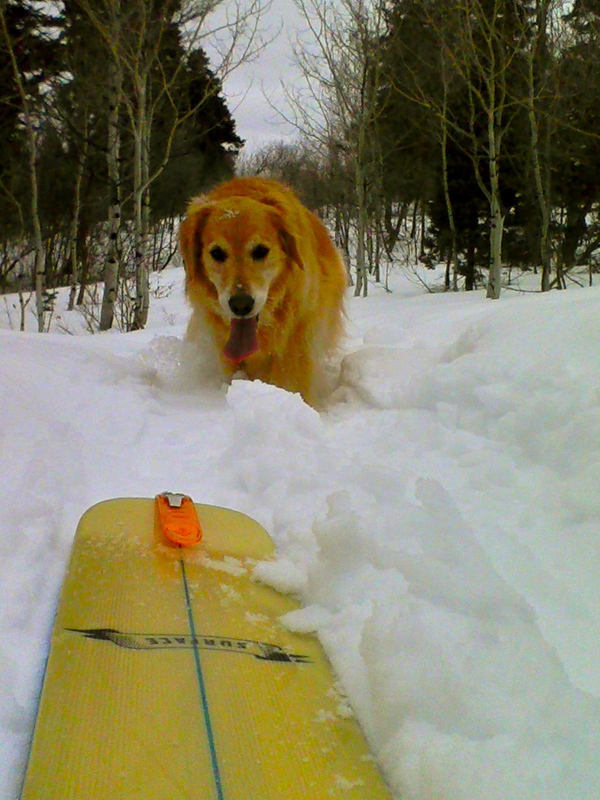 She blew out a knee a year ago and is still a bit slow through the deeper snow. However, her young heart still beats with the vigor of a healthy brand new puppy. Whatever hold up her bad knee is, she makes up for it in persistence. She hasn't really gotten off trail since her surgery. I was a little nervous for her, but she trooped right through. 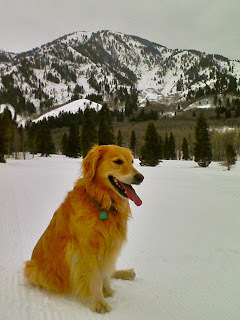 ^She sits proudly in the foreground of Snowbasin's Hell's Canyon. She deserves to be proud of herself. Coming back from a knee injury is no easy task, even for a golden retriever. I know a lot of people that have handled knee surgeries with much less determination and strength then my little dog. Inspiring. ^The Norway group, Kjell Ellefson, Tony Gill, and Kate Hourihan. As I mentioned, I am traveling to Norway in a few days with Telemark Skier Magazine and this is going to be our crew over there. 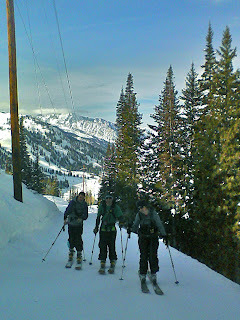 We took the opportunity to get out and tour together a little to get comfortable with each other in avalanche terrain. I have toured with some of these folks a few times before, but European backcountry can be more tricky then our own. Anytime your touring in strange places things can get interesting very easily. I am glad that we were able take some time to get familiar with one another before we jump right into foreign terrain together. ^Wasangeles is a fitting nickname for this area sometimes. This photo one of those times. Backcountry traffic jam. We won't see a whole lot of this in Norway. 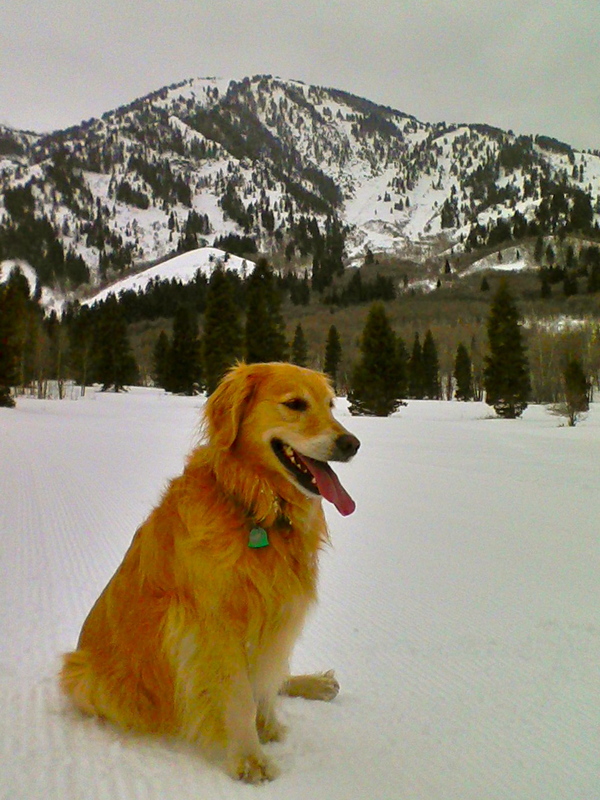 We were taking it easy because the avalanche danger in Utah is nuclear right now. 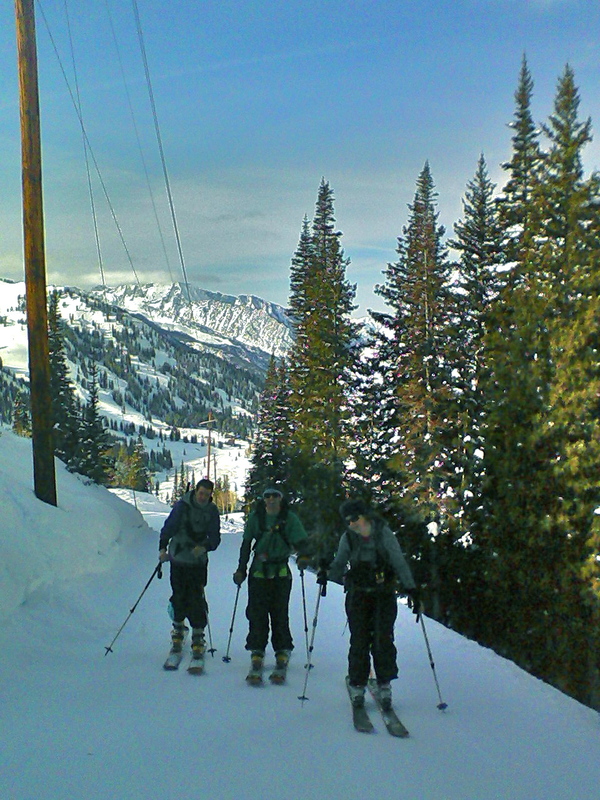 That means rolling into the most popular and relatively safe terrain. In SLC that means Wasangeles in full force on a Saturday morning. 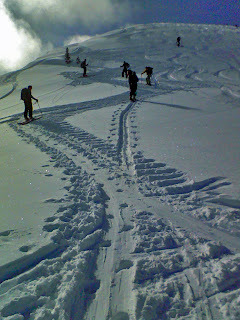 It was still super beneficial just to get out and move around in avalanche terrain together. A little gel time before the bigger and less familiar terrain. ^Wolverine Cirque is starting to fill in some. Still thin and sketchy, but there is a good chance we may be doing some filming in there when we get back. I thought it would be a good idea to get a good look into it now. That way when we come back after Norway we will have a heads up to how it was looking and coming together. We always seem to do some work in there every year. Hopefully the snowpack will cooperate. 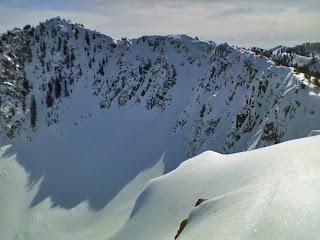 ^Tony Gill was happy to be out from behind the editor's desk for some blue sky views. The snow was pretty good despite our unambitious line choices. It was really just about getting out together and getting a feel for each other's tour travel practices. Soon enough it will be for real in some brand new mountains. The trip is exciting, and the group seems poised to take best advantage of the opportunity. Trips like this don't come along often for many folks, and I am pumped to be making the journey with such a good group of individuals. Here we go.